There are numerous websites and individuals advertising their content writing prowess on the web, but the sad truth is, not all of these individuals or websites can be trusted. It is truly unfortunate that due to the unprofessional acts, the information available on the Internet has been tainted and became unreliable. After all, countless companies, who do their businesses online, have paid these people good money to develop or update their website`s content without first checking or ensuring their honesty and reliability. Luckily, search engines are taking steps to make sure that online businesses can distinguish between professional content writers and non-professional ones. The problem sometimes lies in the companies themselves. There are a lot of companies that, in the interest of saving some money, go for writers with low rates or worse, they force good writers to lower their rates or demand additional work that costs more than what they are paying for. Therefore, it is not surprising why the content quality suffers. 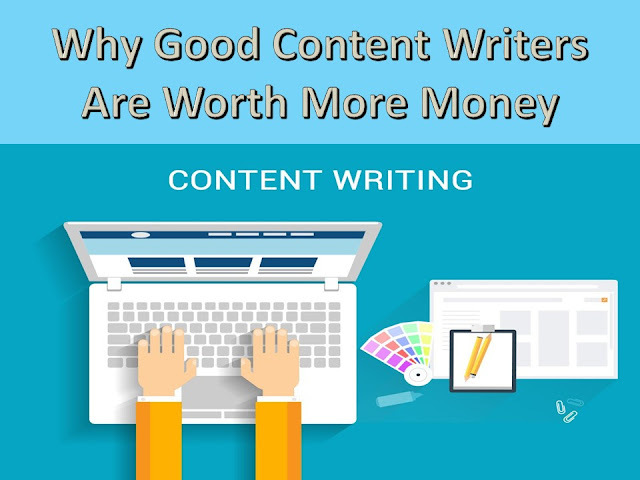 If you want high quality content writing right off the bat, then you have to be ready to pay the content writer or content company what they deserve. Aside from the quality of work, there are also other reasons why quality content can cost more. People or companies paying comparatively lesser money for an article would often have a bad experience with the writer they hired, and they deserve it. Writers or free lancers, who have low rates, also often produce low quality content, sometimes without even paying attention to the deadline. Most of the time, companies looking for cheap rates focus so much on the money that they think they are saving and not enough on the reliability and condition of the article. Good and professional content writers charge extra for their skill, because they are aware of their reputation. In the writing business, reputations are hard earned and are the product of hard work, good results and strict adherence to deadlines. Let us be honest, a company or individual, who is only willing to pay the barest minimum for someone`s talent, does not respect or think much of that individual. Do not expect to get high quality work for something that you are only paying pennies for, but do expect to experience the hassle of proofreading the article and checking if it is copied. However, if you go with a professional content writer, then you can rest easy in the knowledge that your content is 100% unique. It is a two-way relationship. The writer trusts you to pay their worth and they will return that by providing you with high quality content. The Internet is saturated with articles that are confusing, poorly written or just flat out unreadable. Chances are that these are articles done by non-professionals, who were just paid a cent per word. Coming up with good, readable content entails, time spent researching, writing and editing and you are technically investing in that time. You do not have to pay extravagant rates to get a well-written article. A professional content writer only demands rates that are appropriate for the project. Paying the right price for valuable and unique content for your website will actually save you money in the long run. My name is Alexia Wolker. I'm a student of the Literary Department and a blogger. I support the effective adoption of new technologies or ways of working within writing by communicating complex information in an informative and inspiring way.More my works you can find on website https://infolnk.net. I’m fond of writing articles for students, helping with essays.